Amnesty International has reported that Western weapons and equipment are being transferred to militias in Yemen through the UAE. Credit: Ibrahem Qasim. Amnesty International has released a new report investigating the use of Western weaponry in Yemen by United Arab Emirates (UAE) backed militias with bad human rights records. Western nations, including the US, UK and Belgium, have supplied around $3.5bn worth of weapons to the UAE since the Yemeni Civil war erupted in 2015. 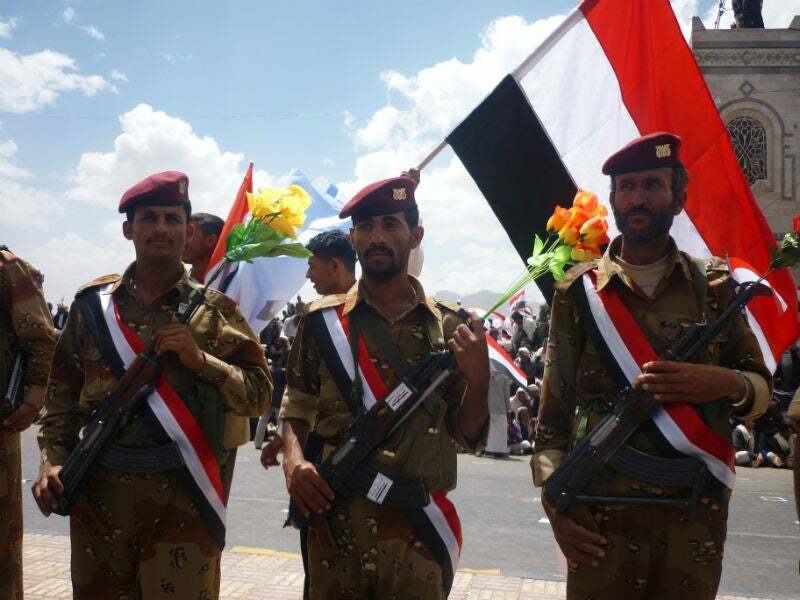 The Amnesty investigation, titled ‘When arms go astray: Yemen’s deadly new threat of arms diversion to militias’, found that the UAE had become a conduit for advanced Western weaponry and equipment, including armoured vehicles, aircraft and ships, mortar systems, rifles, pistols, and machine guns, and the weaponry is being widely used by militias that have been accused of war crimes and other international law violations. In one example, US armoured vehicles including the M-ATV, the Caiman and the MaxxPro were found to be used by ‘Security Belt’, ‘Shabwani Elite’, and ‘The Giants Brigade’ militias in Yemen. Amnesty International arms control and human rights researcher Patrick Wilcken said: “Emirati forces receive billions of dollars’ worth of arms from Western states and others, only to siphon them off to militias in Yemen that answer to no-one and are known to be committing war crimes. Many Western countries have recently supplied arms to the nation, with only Denmark, Finland, Norway and the Netherlands adopting suspensions in arms transfers to the UAE. The UK, for example, has sold around £600m worth of weapons to the UAE since 2015, including vehicles, aircraft, and light weapons. Amnesty has urged all countries to stop arms transfers while there is a “substantial risk” that they will be used to commit human rights violations in Yemen. Amnesty International UK’s arms expert Oliver Sprague said: “It’s extremely alarming that arms of the type licensed for export to the UAE by the UK are being diverted by the Emiratis to out-of-control militias operating in southern Yemen. In a separate investigation, CNN has reported that Saudi Arabia and coalition partners have transferred US weapons to al-Qaeda affiliated militias in Yemen, in violation of existing agreements with the US.